We have already seen many paytm partners previously. 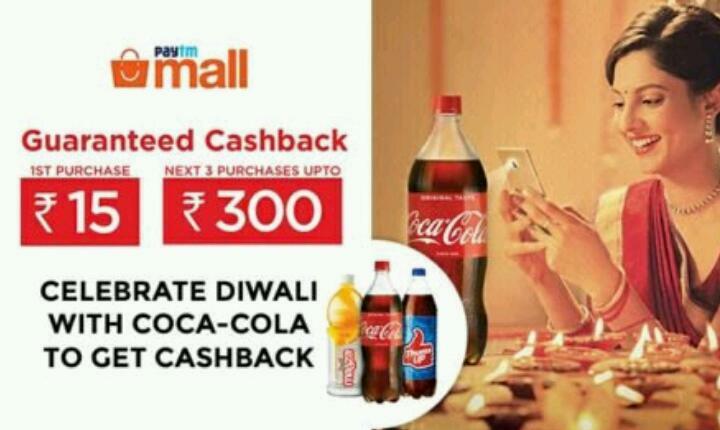 Now Coca Cola Giving us chance to Celebrate Diwali with paytm with similar offer with small variation. 2. Now After Buying Coca Cola Products Peel the wrapper you see coca cola paytm mall code. 3. Note down this code. 7. Here enter Your 13 Digit Code which your Receive in SMS and click on Proceed. 8. Voila ! Rs 10 to Rs 15 added in your Paytm Wallet. 9. Next Time when You again Do this step you will Receive Rs 100 and Rs 150 off Code On your Shopping at paytm mall.